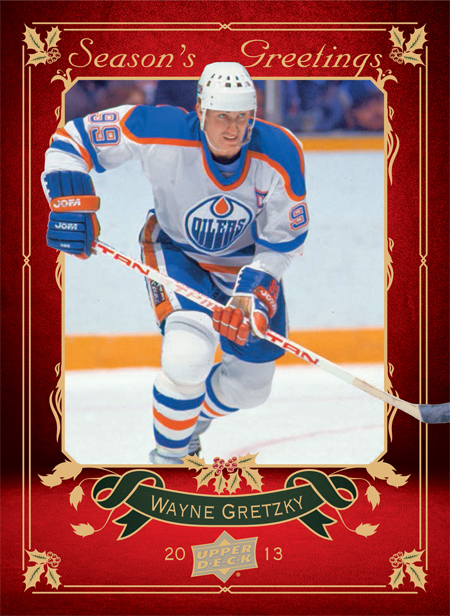 Many fans have enjoyed collecting these cards each year and these new cards featuring Gretzky are likely to make their way to trading sites soon as they start to hit the market. 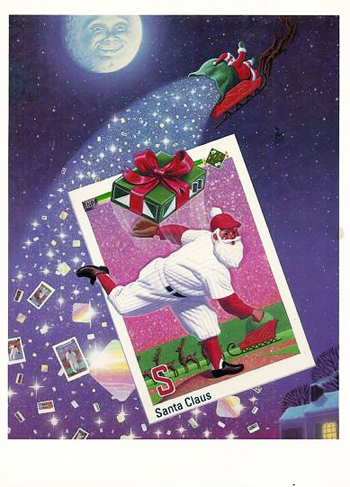 Upper Deck holiday cards from over the years continue to be highly collectible. Have a gander at some of the previous year’s cards from throughout the company’s rich history! 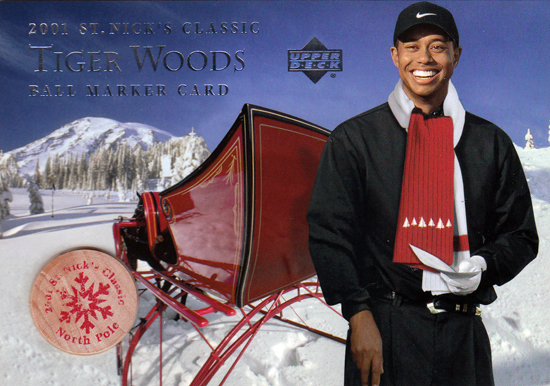 There were actually 25 rare signed versions of these cards produced. 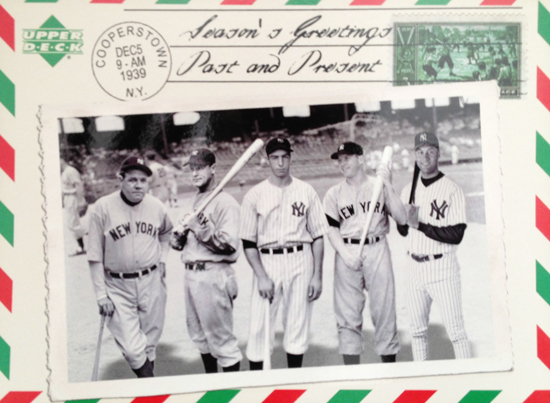 Want to score a Gretzky holiday card from this year? We only have two cards left! 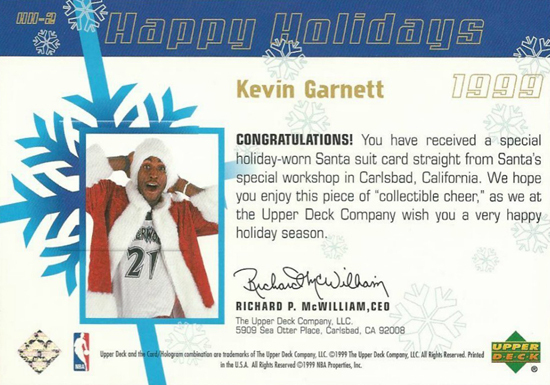 For your opportunity to grab one of these cards, please submit a comment below as to which of these holiday cards in your favorite. 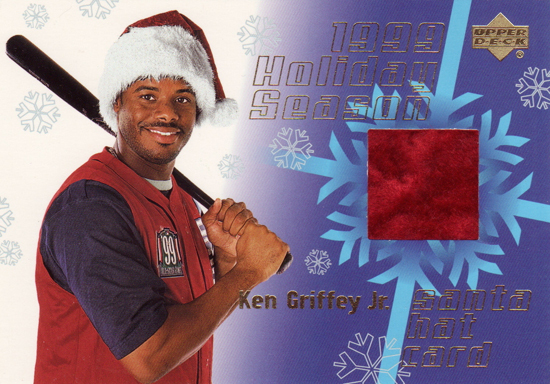 The two fans who most skillfully convey their enthusiasm for these unique holiday collectibles will be selected to receive one of the new Gretzky cards. You have until Monday, December 30, 2013 at 11:00 a.m. to leave a comment of no more than three sentences. 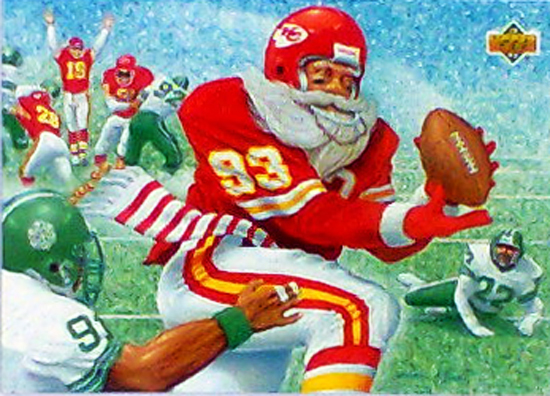 I really like the one of Santa Clause playing football with him as quarterback. 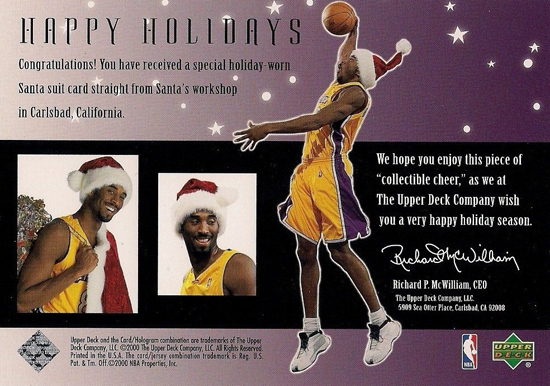 I like the creativity of how you guys interrupt the holiday season and how it blends sports and christmas in a comedic manner. 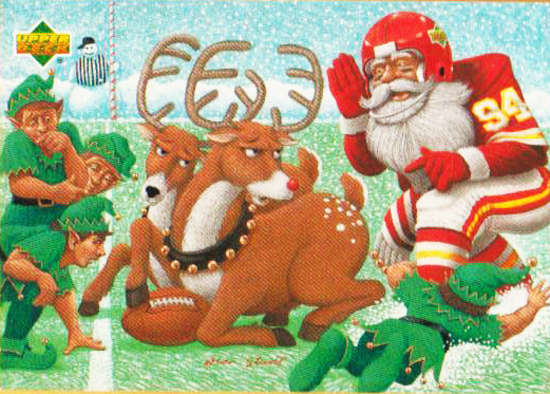 From the image it looks like maybe he can teach Tony Romo how not to throw a pick 6. 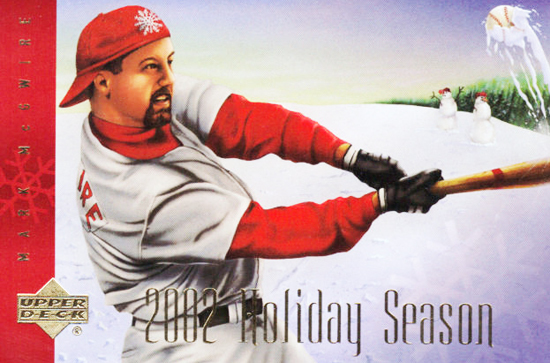 Hi Upper Deck, I’m unsure if my first comment went through but if not I wanted to say that I loved the Wayne Greyzky Seasons Greetings holiday card. 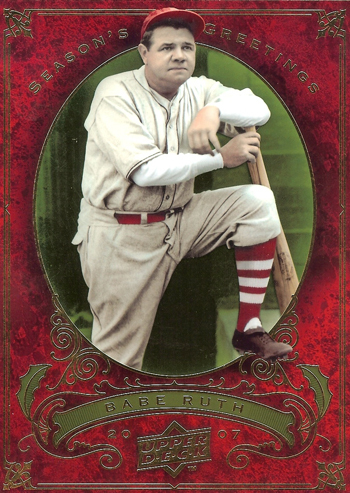 It would look awesome with my new Upper Deck Series 1 and it would be great to have in my collection. Have a great New Year! 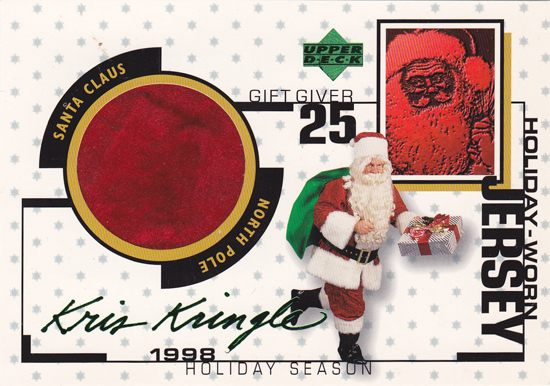 -Brandon S.
KRIS Kringle holiday worn jersey card. They are all awesome. 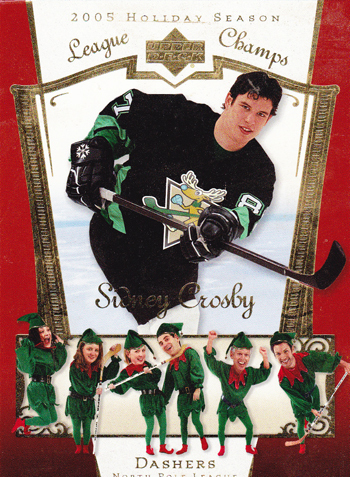 I love the Crosby “dashers” card. I like the elves across the bottom, as well as the “top shelves” comment on the back. 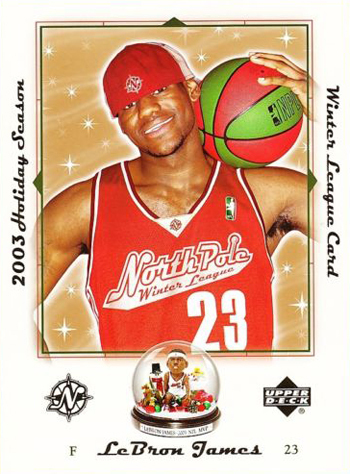 My favourite part is the alterations of the green stripes on the jersey, the snowflakes on his gloves and the reindeer in the pens logo. 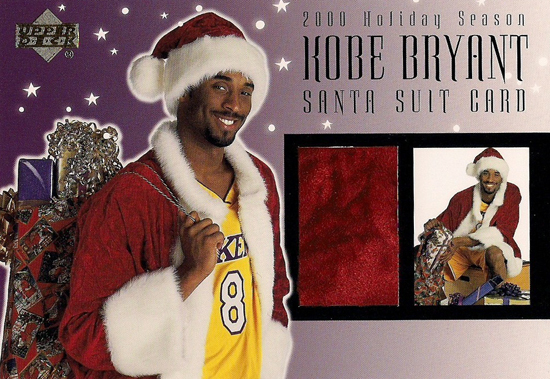 I have to vote for the “Holiday-Worn Jersey” Kris Kringle card. 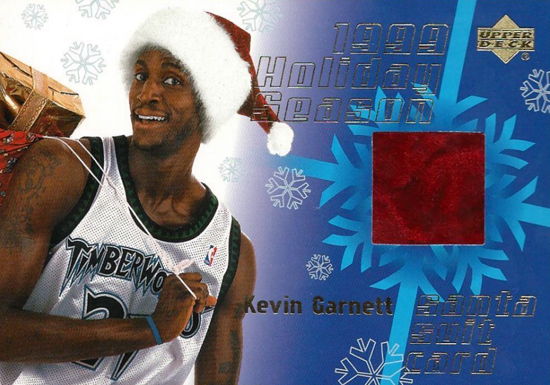 There are a lot of opportunities to collect cards of athletes, but the rare opportunity to own a collectible from this holiday icon is priceless. 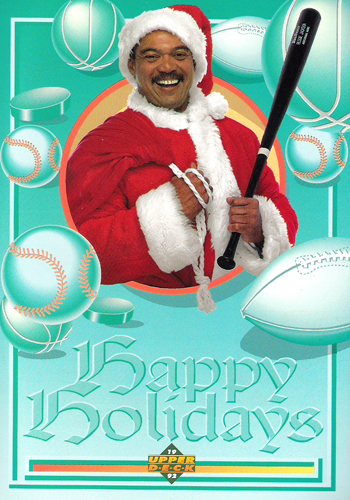 Athletes bring joy to MANY kids, but only one jolly man can bring joy to ALL kids.